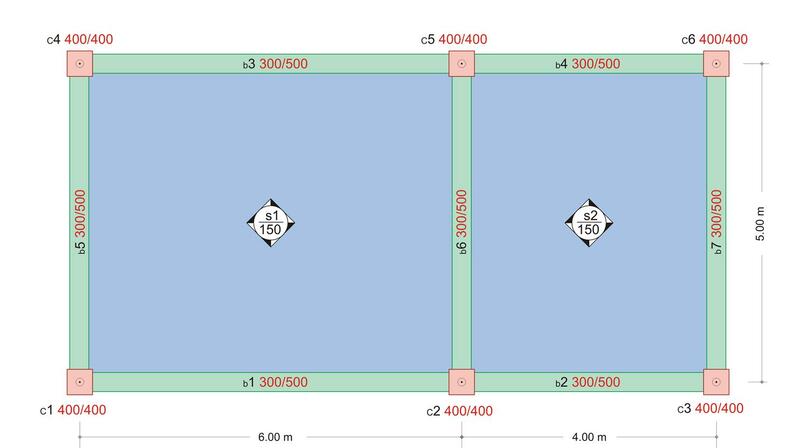 Given : Covering load ge=1.5 kN/m2, live load q=2.0 kN/m2, concrete quality C40/50 (E=35.2 GPa). 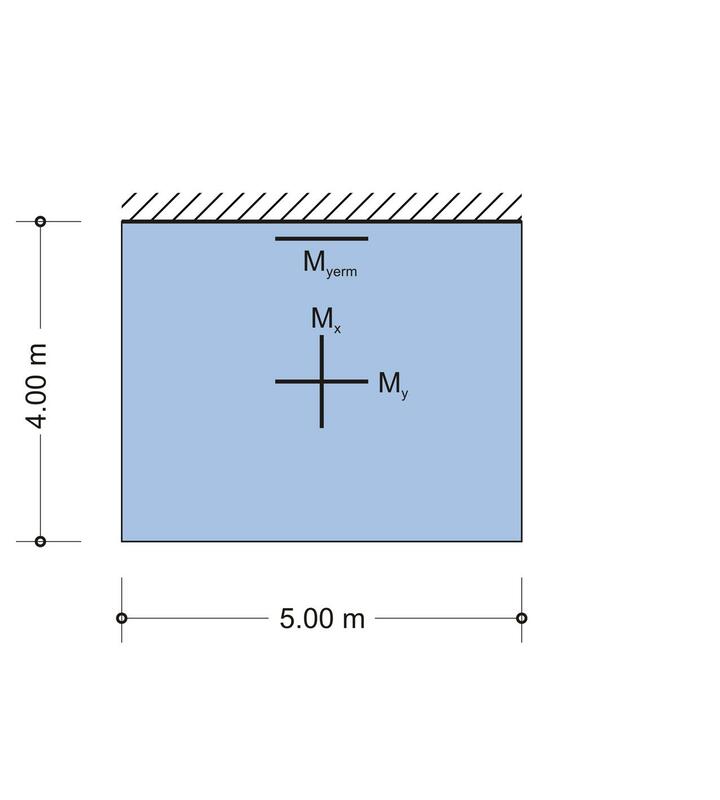 Question : Perform static analysis to calculate bending moments, shear forces, reaction forces, deflections and equivalent uniform loadings of slabs transferred onto beams. 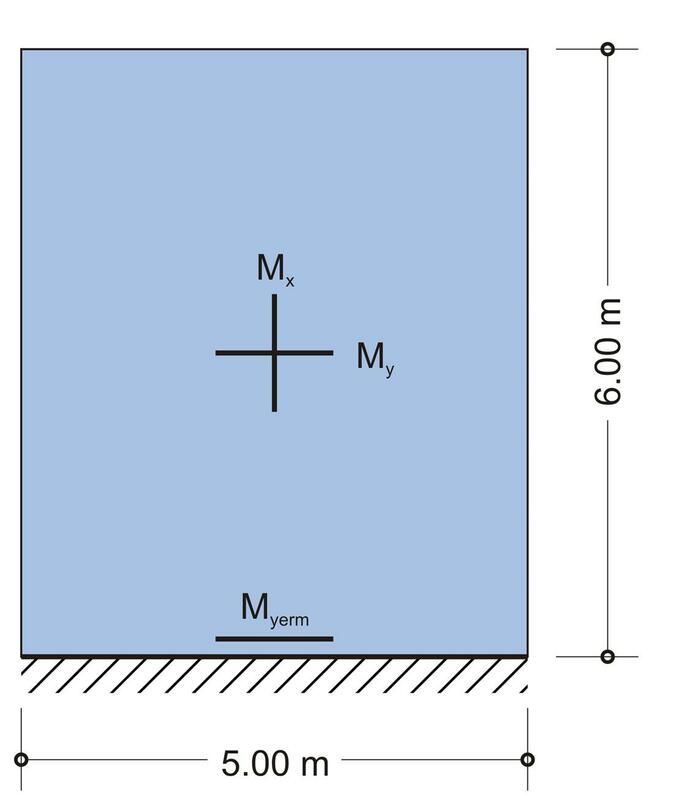 Coordinate system of the slabs is considered rotated by 90ο.